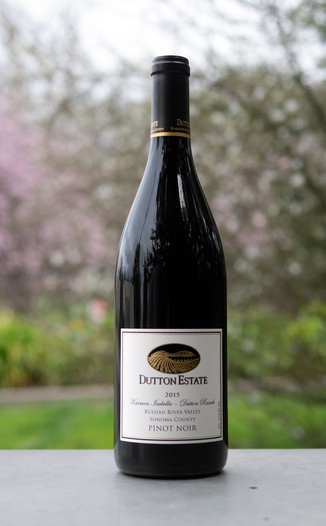 For the last 12 years, we’ve been proud to feature wines that were made from Dutton Estate grapes - but we’ve never featured a Dutton-produced wine. Until today! Today, we have their 2015 Russian River Valley Sonoma County Karmen Isabella Pinot Noir. 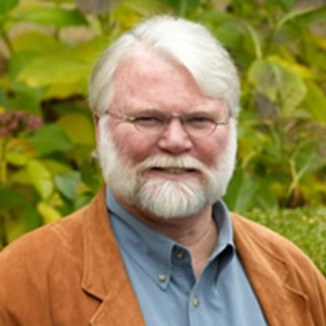 This award-winning wine is in short supply, so please reserve yours soon. Hold the glass up to the light and it will illuminate with an opulent translucent crimson hue. Take a sniff and you’ll be greeted by co-mingling floral and spice aromas including sandalwood, cigar box, mulled blackberry, candied violets, and rose petals. On the palate, the flavors showcase the various berry qualities with blueberry, blackberry, boysenberry, and cherry all showing up. It’s got a delicious fresh pipe tobacco note throughout. The texture is silky smooth and a bit chewy with an expansive mouthfeel that coats the entire palate and holds on tight for a long finish. Delicious! Perfect for a savory meal such as a pulled pork sandwich with Texas style BBQ sauce. 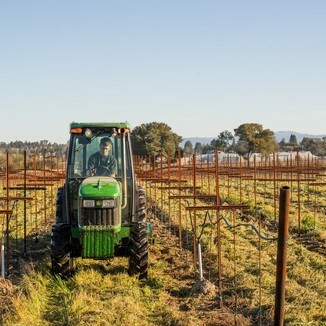 The Dutton Estate Winery vineyards provides grapes to some of California’s top Pinot Noir producers, including Hartford Family, J Vineyards, Flowers, Domain Chandon, Merry Edwards, Ramey, Chappellet Winery, Coppola, Romililly, Robert Mondavi Winery and many others. 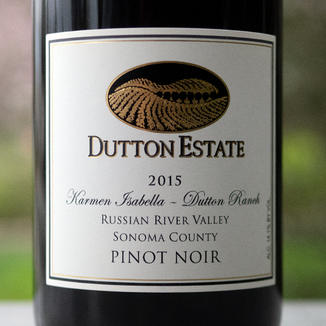 The accolades are through the roof, and for good reason… Dutton’s grapes are some of the most sought after in the Russian River Valley. We guarantee that your love this wine - or we’ll buy it back from you… and drink it ourselves! Illuminates with an opulent translucent crimson hue. Sandalwood, cigar box, mulled blackberry, candied violets, and rose petals. Blueberry, blackberry, boysenberry, cherry, and fresh pipe tobacco. Silky smooth with an expansive mouthfeel that coats the entire palate and holds on tight for a long finish. Pulled pork sandwich with Texas style BBQ sauce.